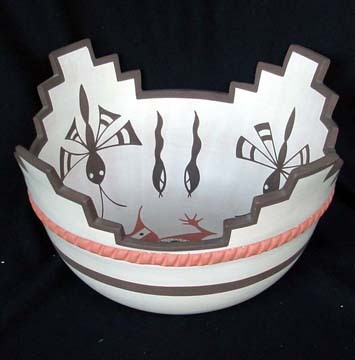 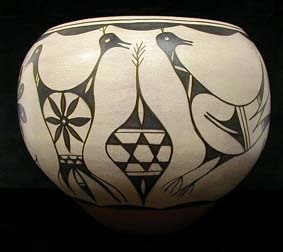 This beautiful and very traditional handmade bowl was hand coiled and hand painted by Zuni potter Marcus Waseta. 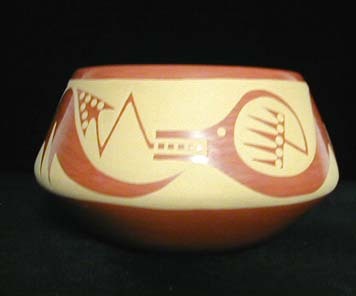 The mouth of the bowl is shaped into Kiva steps, and two strips, one painted and one corrugated, band its outside surface. 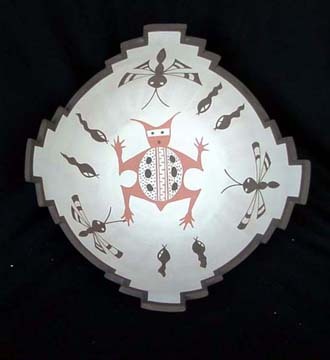 The inside is decorated with the figure of a large frog in the center surrounded by a swarm of young tadpoles. 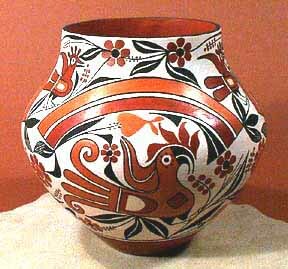 The pot has no defects and is signed by Marcus. 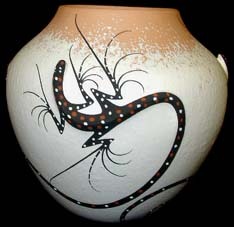 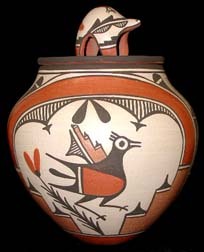 This pot is made for the serious collector of Zuni pottery! 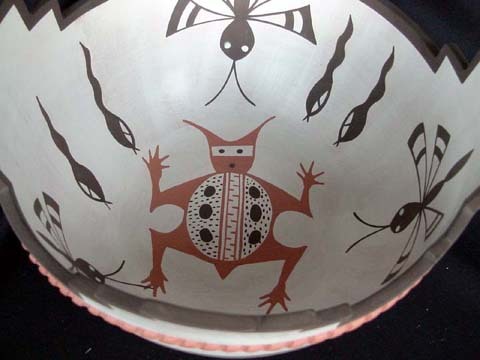 The bowl is decorated in very strict traditional style. 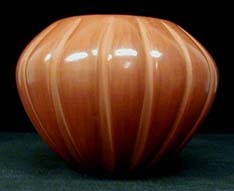 Marcus' work has been presented in The Messenger, a publications by the Wheelwright Museum. 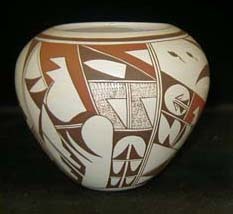 This is a large pot measuring 5 1/2 inches tall by 10 inches wide.